In a significant policy shift, GOP presidential candidate Ted Cruz told Fox News host Bill O’Reilly on Monday that he supports “looking for,” “rounding up,” and deporting the estimated 10.9 million immigrants in the U.S. illegally. The comments seem to imply that Cruz has shifted further to the right. In the past, Cruz rejected Trump’s proposal for an engorged “deportation force,” as Politico observes. Here’s a summary of the exchange, in which O’Reilly begins by asking Cruz to flush out his immigration enforcement policy. “Would you round up 12 million illegal aliens here, and if so, how?” O’Reilly says. “Federal law requires that anyone here illegally that’s apprehended should be deported [....]” Cruz says. “Would you look for them, though?” O’Reilly asks. To clarify further, O’Reilly gives Cruz specific hypothetical, of an Irish man who overstays his visa. “And he’s got a couple kids and he’s settled into Long Island“and you , President Cruz, are going to send the feds to his house and put him on a plane [? ]” O’Reilly says. “You better believe it,” Cruz says. In the past, Cruz has attacked Trump’s proposal to go after immigration violators indiscriminately. "No, I don't intend to send jackboots to knock on your door and every door in America. That's not how we enforce the law for any crime," he told CNN in January. Cruz also joined a chorus of voices that call Trump’s plan impractical (some estimate it would cost $166 billion to carry out). With Cruz’s pledge to round up and deport immigrants at a similar scale, his and Trump’s plans seem to be less distinguishable. But Cruz told O’Reilly that his plan actually goes further than Trump’s, because it would bar deported immigrants from reentering the U.S. In the past, Trump promised that his wall would have “a big, fat beautiful door” for immigrants who are deported but later get their papers straightened out. Trump disagreed that his “big door” meant U.S. citizenship. Ted Cruz said on @oreillyfactor that illegals sent out of country by my administration would come right back as citizens. Another lie-crazy! 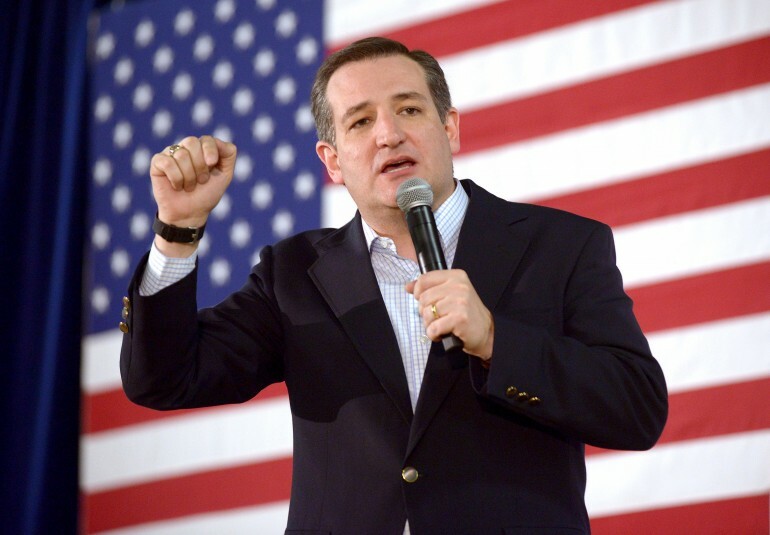 Cruz, Trump, and other Republican candidates will compete today in the Nevada GOP primary. Polls favor Trump by a wide margin. Cruz, generally seen as the most conservative candidate, is essentially competing for second place with Florida Sen. Marco Rubio, who has begun to marshall establishment support after Jeb Bush suspended his campaign over the weekend. These 4 Things Make A Politician ‘Latino’; Which Do Cruz & Rubio Have?